Thick Glass Cutter for circles. Thick Glass Circle Cutter for circles 20 - 120 cm Ø, high level of operational safety due to heavy-duty construction. 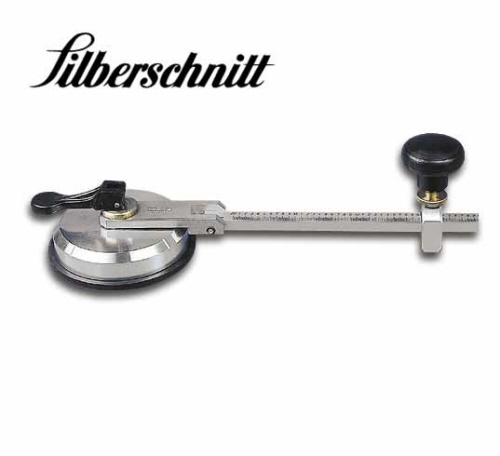 Thick Glass Circle Cutter for circles 20 - 120 cm Ø, high level of operational safety due to heavy-duty construction, the ball handle above the wheel holder ensures the even transmission of the required cutting pressure for thick glass of 10 - 25 mm.